Please find below classifieds in category Finance, mortgage, insurance category in Austin. Please use the form above to refine your search in Finance, mortgage, insurance in Austin. If you can not find what you need in Austin please add your wanted ad to let sellers contact you. If you want to keep your contact info confidential enter only your email address so you will receive offers into your account in our system. You can click Post a classified ad link below or the button Post classified for FREE in top right corner of this page to post your classified ad in category Finance, mortgage, insurance in Austin. It is fast, easy and free to post an ad in FREEADSinUS.com. It will take you just few minutes to have the ad available on our listings. You can edit your ads any time by clicking “Edit my ads" button on top right corner of this page. Shawn Camp Insurance Agency Inc, Austin TX provides home insurance at affordable rates. The insurance agency offers coverage to homeowners as well as home renters in Austin. To get a quick home insurance quote - call at (800) 212-2641. Cash Pawn Sales located in North Austin TX provides instant Loans in Austin TX. Pawn or Buy Gold and other valuables at the best Austin Jewelry Store and Pawn Shops in Austin Tx. Visit Cash Pawn Shop for Jewelry, Gold, Pawns in North Austin, Texas http://www.cashpawnsales.com. Looking for a Mortgage Loan in Austin TX? Looking for a Mortgage Loan in Austin TX? Star of Texas offers lowest rates on Austin TX Mortgage Loans. Call 512-782-0246 for more information. Contact us:- 114 E. Huntland Drive, Austin, Texas 78752 USA Phone: 512-782-0246 http://loansthatsaveyoumoney.com/mortgage-loans-austin. Get a pre-approval auto loan for your vehicle in Austin TX. 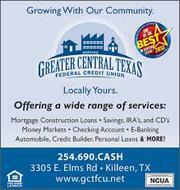 Call 512-782-0246 and get help from experts to refinance your auto loan and enjoy the lower interest rate. Contact us:- 114 E. Huntland Drive, Austin, Texas 78752 USA Phone: 512-782-0246 http://loansthatsaveyoumoney.com/auto-loans. StarOfTexas offer lowest interest rates on home loans, commercial vehicle loans, Property loans, personal auto loans and other mortgage loans in Austin, TX. Contact us:- 114 E. Huntland Drive, Austin, Texas 78752 USA http://www.loansthatsaveyoumoney.com. This is classifieds listing page in category Finance, mortgage, insurance in Austin. The listings include ads for sale and wanted ads posted in Austin location on our site or sourced from Oodle.com from categories related to Finance, mortgage, insurance. If you posted an ad on this page before please click "Edit my ads" button to sign in your account and edit your classified ads, check the requests sent to you from your ads contact forms or check the offers sent to your wanted offers. Finance, mortgage, insurance Austin classifieds, Austin ads, Austin classified ads, garage sale Austin. Find here ads for sale, to buy and rent in Austin. Goods for sale in Austin, vehicles for sale in Austin, Austin real estate for sale, Austin property for sale, property for rent in Austin, business ads in Austin, Austin business classifieds, services in Austin, Austin services ads, jobs in Austin, pets for sale in Austin, Austin dating, Austin cars for sale.